Exhibitions | Crafts Council of Ballarat Inc. The Conservatory in the beautiful Ballarat Botanical Gardens showcases exhibitions of high quality, interesting and unique arts and crafts created by local artisans on an annual basis. Each year the theme of the exhibition differs, but the diversity and quality of items on display does not. Everything is handmade, ranging from textiles including hats, scarves and bags, to paintings, baby’s clothes and toys, woodwork and jewellery, an abundance of gift ideas and something for everyone. Click on the links below to view our past and upcoming exhibitions. 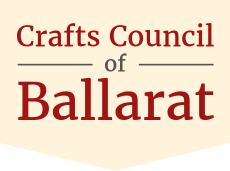 Contact Crafts Council of Ballarat Inc.